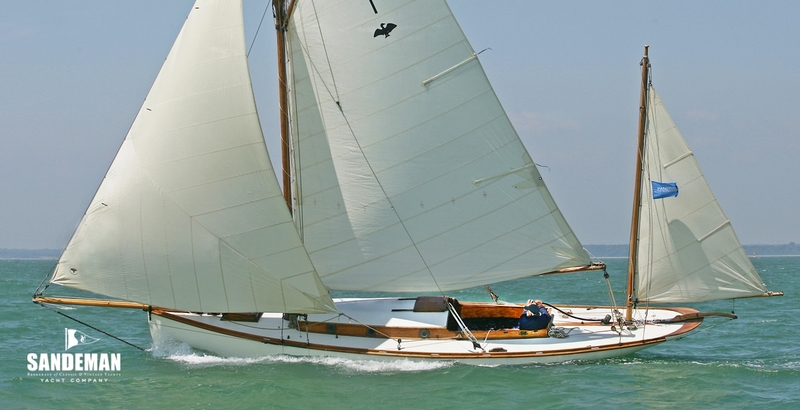 Built by Luke Bros on the Hamble in 1911 to a design by A R Luke, CORMORANT has undergone a major restoration. 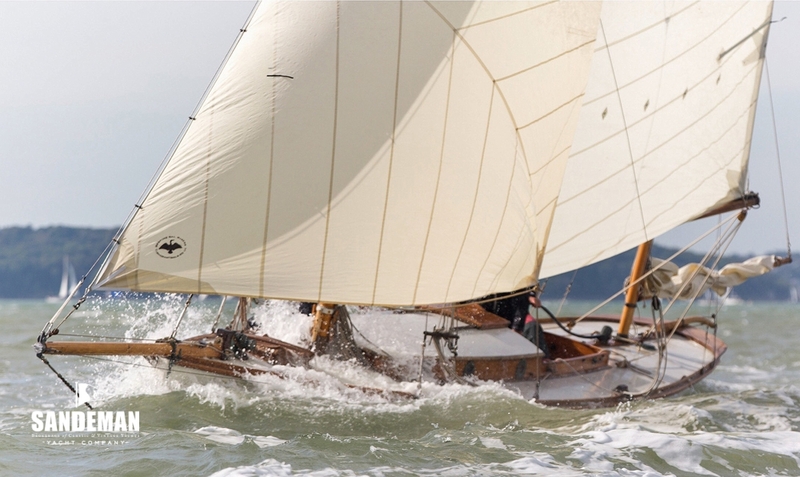 Subsequent refits and equipment enhancements include a very comprehensive wardrobe of new Ratsey & Lapthorn sails in 2017, completed in time for the Hamble Classics which she won on both days and therefore her class in the regatta. 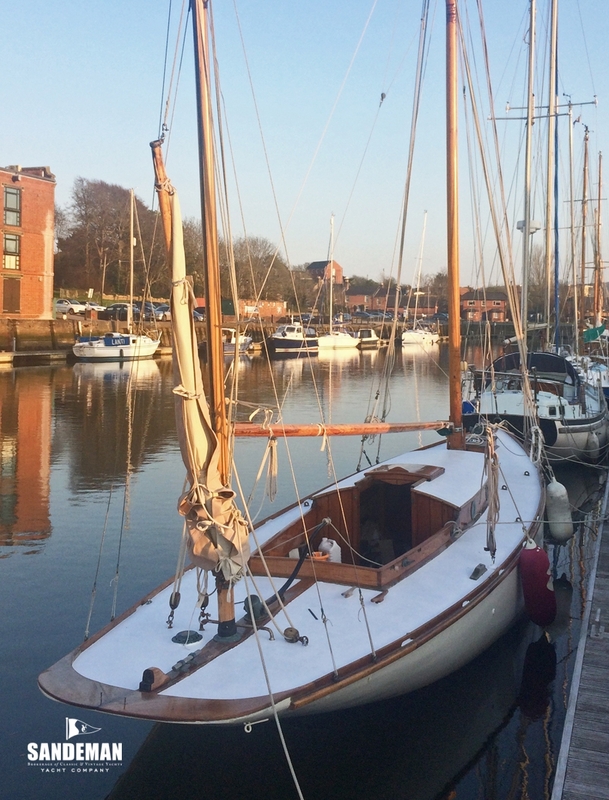 CORMORANT is blessed with a new sail wardrobe supplied under close supervision of her owner; the manager of sail makers Ratsey and Lapthorn. We left Harwich around 22:00hrs and made good progress through the night in a force four blowing from the west. Unfortunately at dawn the breeze fell away to nothing leaving us rolling in a North Sea swell for a few hours on the edge of the shipping lanes – an exciting experience! Happily the breeze filled in from WSW and we flew across the lanes although the drama wasn’t over as there was a sea fog – watching massive ships disappearing ahead of you keeps you on your toes! 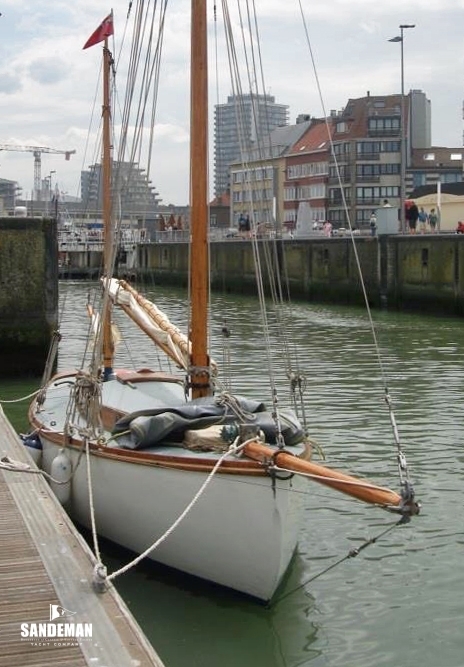 We entered Gravelines - a drying harbour with just enough under our keel to make the pontoon. 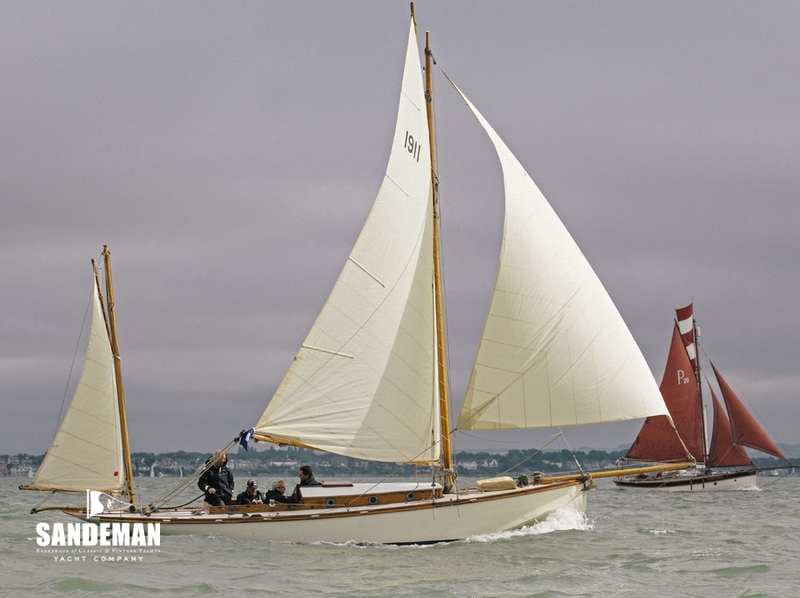 After two days rest we rowed out of the harbour into the channel with a westerly down our throats. Anybody who knows Gravelines will understand that short tacking out of this manmade entrance is not fun and takes a great deal of time. 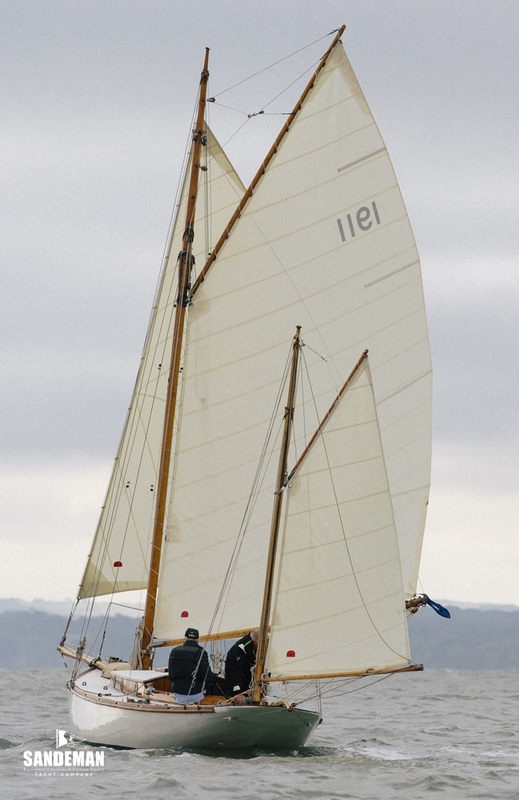 Eventually however we were into the North Sea and heading at great speed in twenty knots of breeze towards Ostend. We entered the inner harbour rounded up and made for the pontoon. 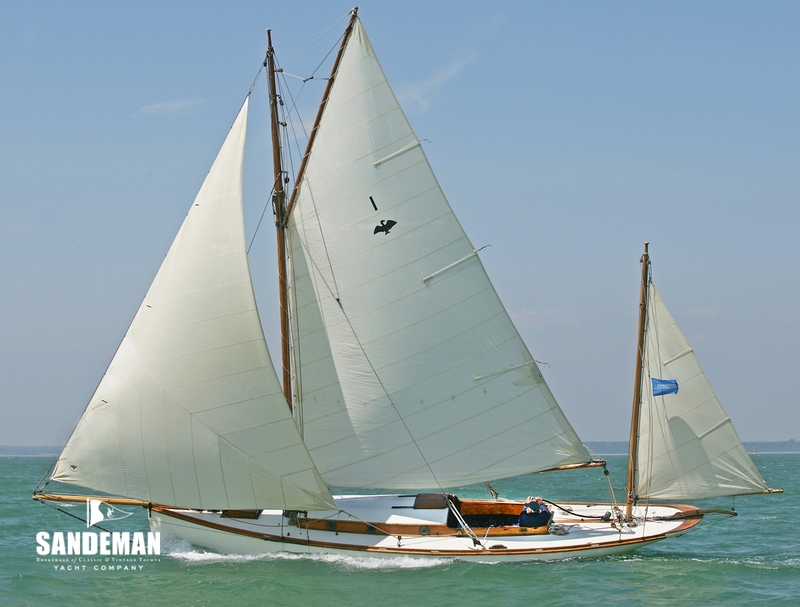 We were amused to find a sail trading vessel claiming to be the only engineless vessel attending the event. On our gently pointed out their mistaken assumption, we were promptly invited aboard to take rum with the captain and crew! They came back to CORMORANT afterwards and drew pictures of her declaring her to be the finest vessel at the event which was very kind. 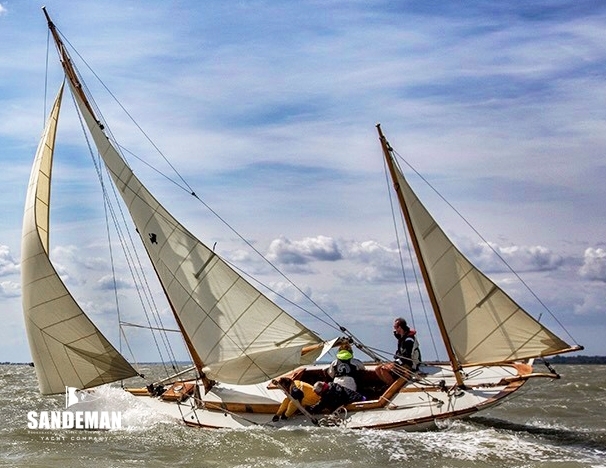 We were stuck in Ostend for a few days given the ongoing strong westerlies but eventually the breeze swung around and we had a terrific easterly to get home. By this time however all my crew bar one had left for a ferry home due to other commitments and the remaining crew member was a bit short on experience. Despite this further challenge the sixteen hour crossing back to Harwich flew by. All in all it was a good trip in a beautiful boat. 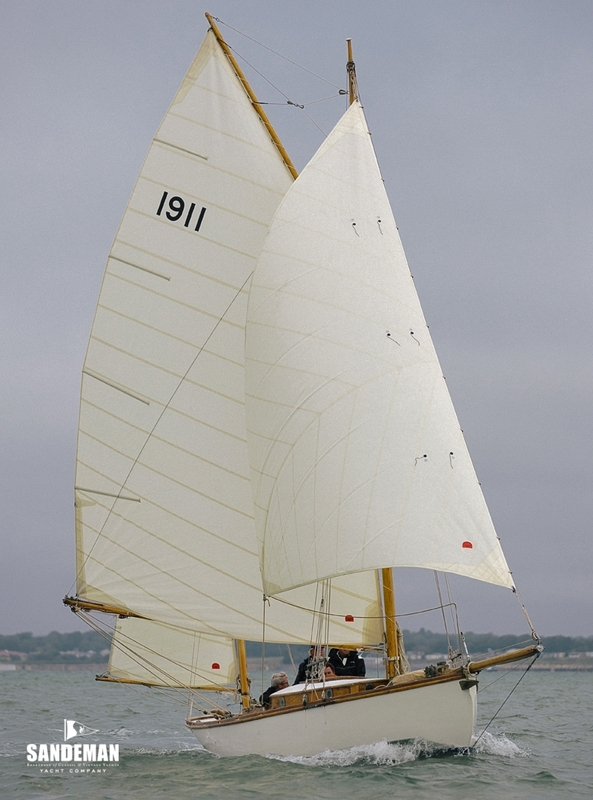 When I purchased CORMORANT her sails were too small for the rig and of a poor material. 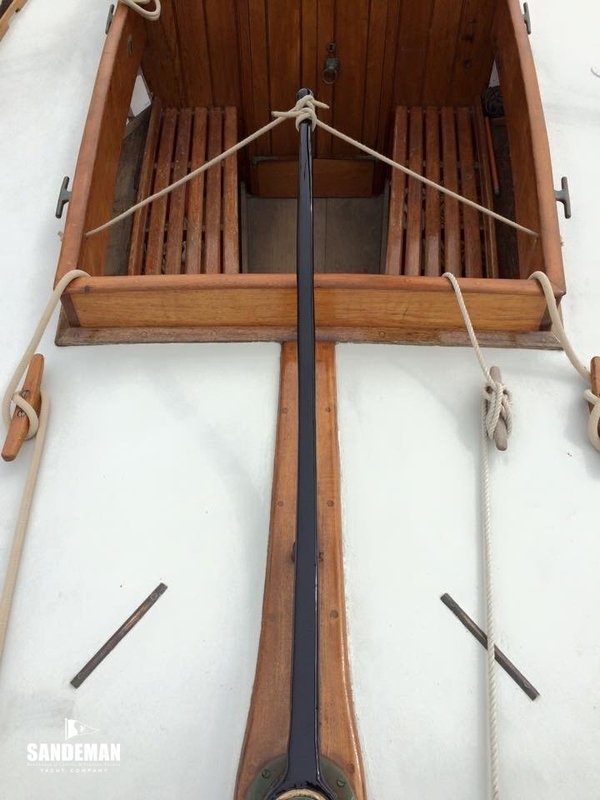 We believe her mast to be original and very much a cruising rig. 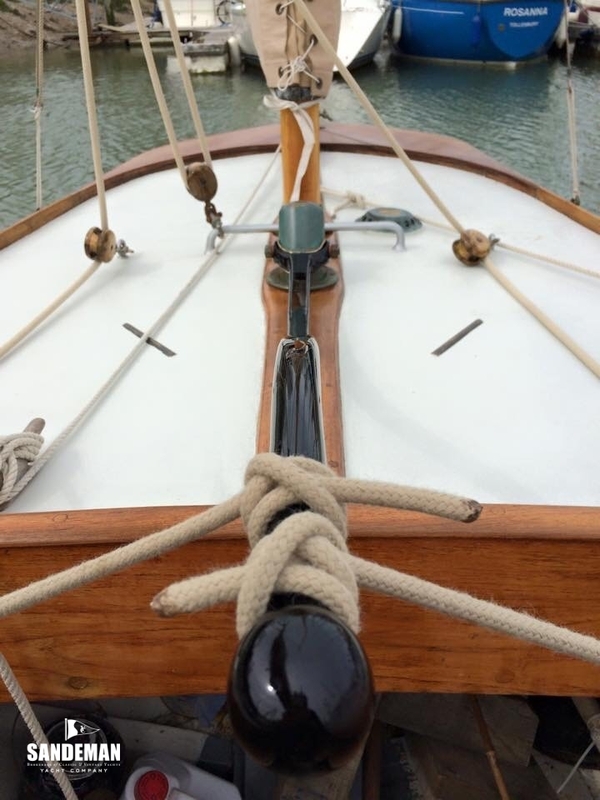 So many other yachts of CORMORANT's vintage have had six foot scarfs let into their original masts to improve performance. 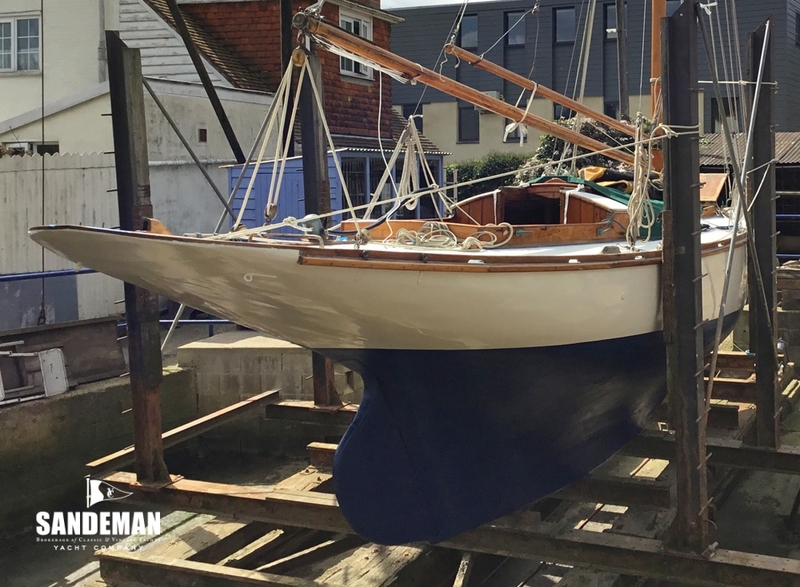 I have resisted changing or/adding to the rig as I am passionate about preserving traditional vessels as much as is practical. 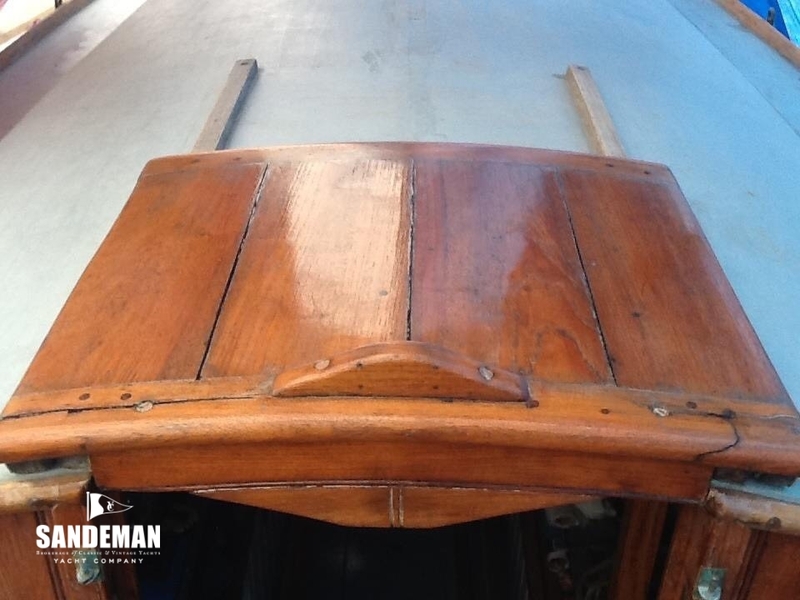 CORMORANT has not been sheathed or epoxied like so many other ‘traditional’ vessels. 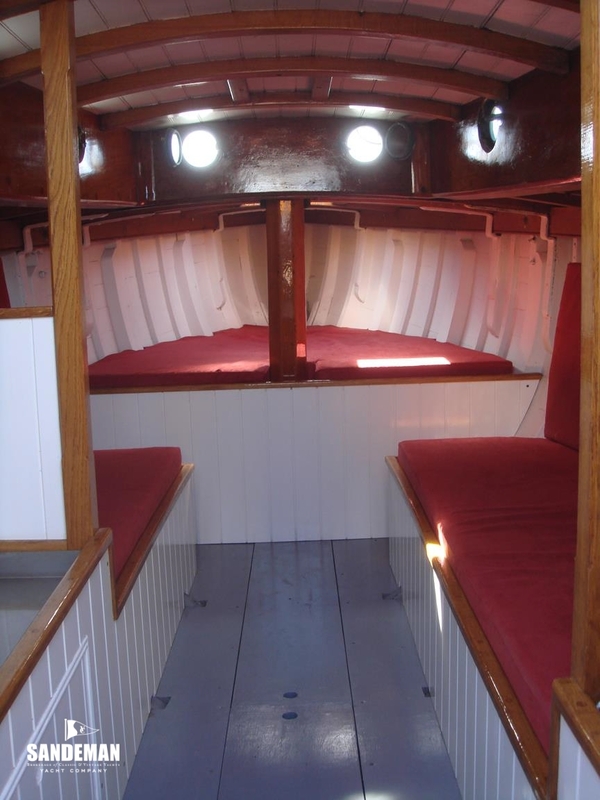 She was however rebuilt to a high standard and has been maintained thus ever since. 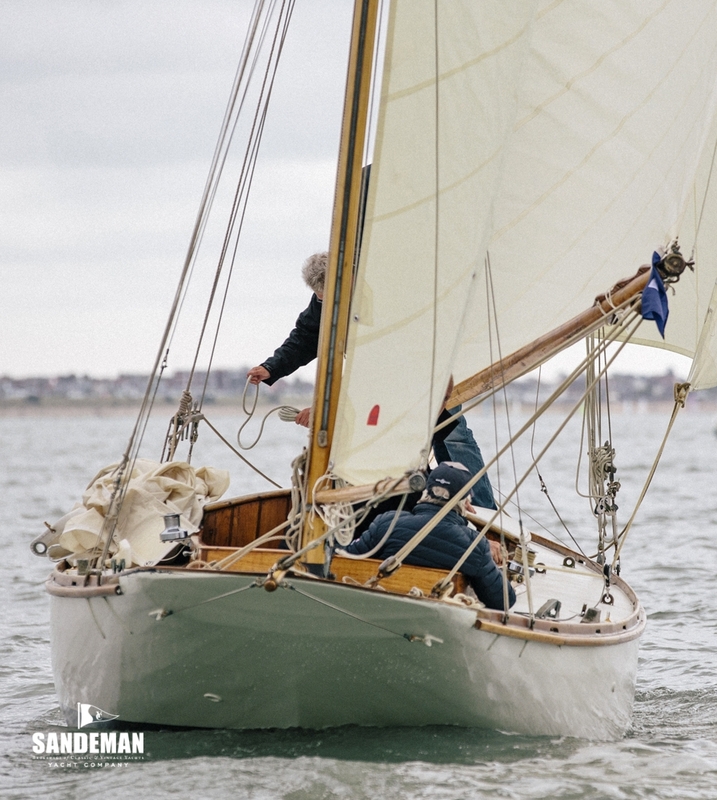 I have made many sails for her and believe I have maximised the potential of this ‘squat’ rig; evidenced this year by her winning the Hamble Classics in a fleet of mostly larger gaff rigged racing boats. 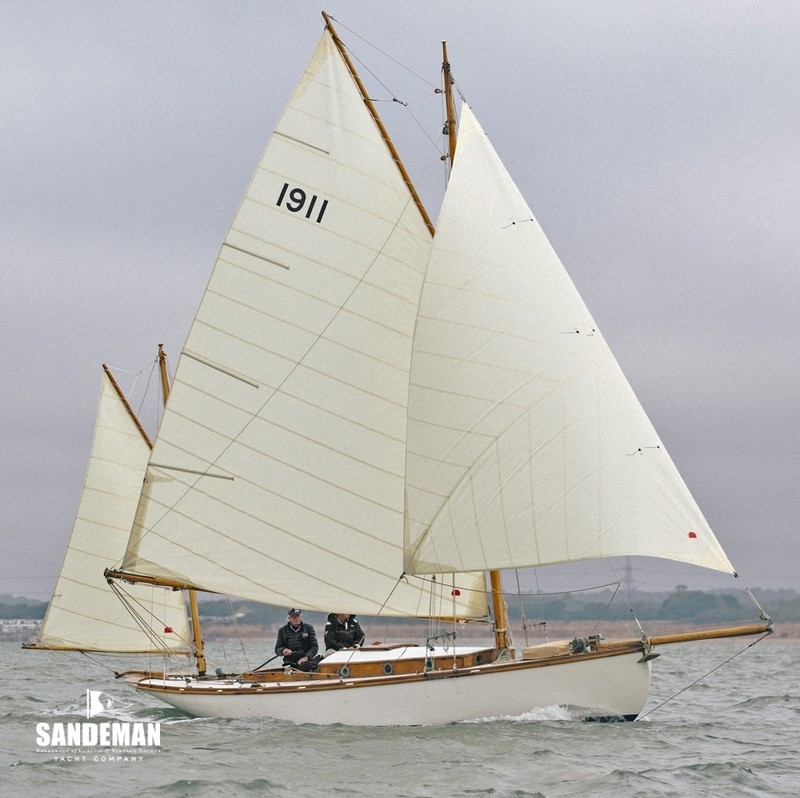 I have owned a number of wooden boats and sailed on many more including Fifes among other famous designer names. 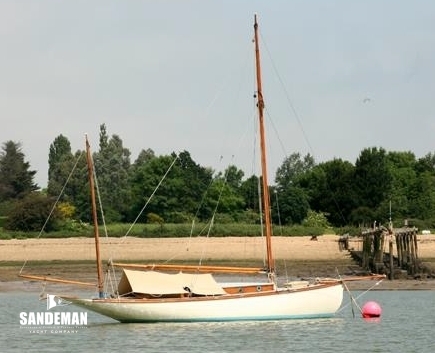 CORMORANT is very special and I shall be more than sad to see her go". The monochrome photographs show her former owner and family sailing in the 1940s on the river Deben, Suffolk. 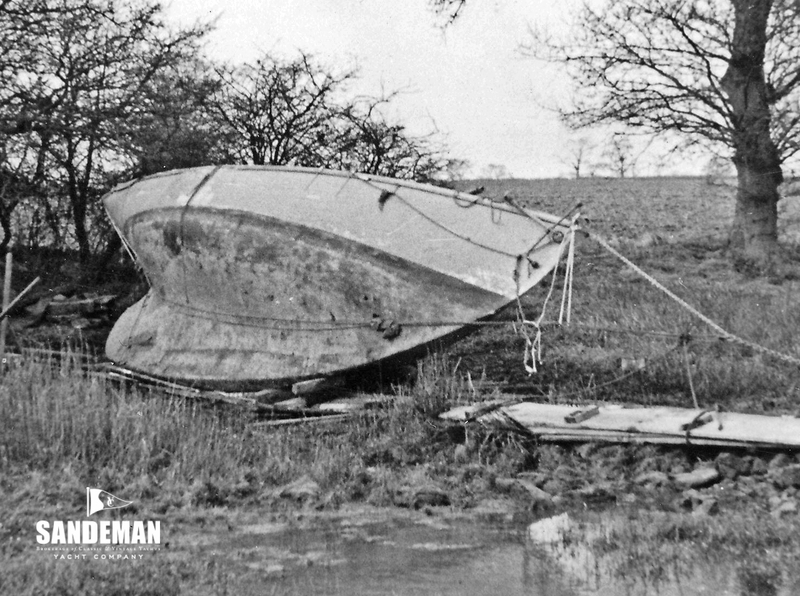 The picture of her on land is when she was blown into a farmer’s field in a storm – apparently it took the capstan of a Thames barge to pull her back into the river.